“Sunday evening blues Monday morning blahs”That used to be my mindset and attitude until one day. One morning the sun showed through my hospital blinds and beamed on my face. I vividly recall this morning because the previous week’s were full of pain, uncertainty , doubt about my health and life. I was literally hanging in the balance of life and death for a couple of months. I had received a knee surgery that ended up causing me to have a staph infection in my knee that lead to the other parts of my body. Rapid weight loss and an emergency surgery to remove the infected ligament after it sat in my body for two months. Lots of specialist and experimental drug treatment and a stroke to the right side of my body, I knew I was done for. But then and since I am a man of prayer and Faith I would say , “But God!”. There was a different path and purpose for my life that 20 years later I stand here becoming healthier than ever , raised and raising children, married for 17 years and so much more. This is the part where I hope you see that my perspective on Mondays changed drastically. It’s amazing how a life threatening incident can change your whole life and hopefully for many for good. You may have or may not have experienced a life threatening situation, but you don’t have to to know that life is precious and a gift. To remind yourself that you are a gift to the world. 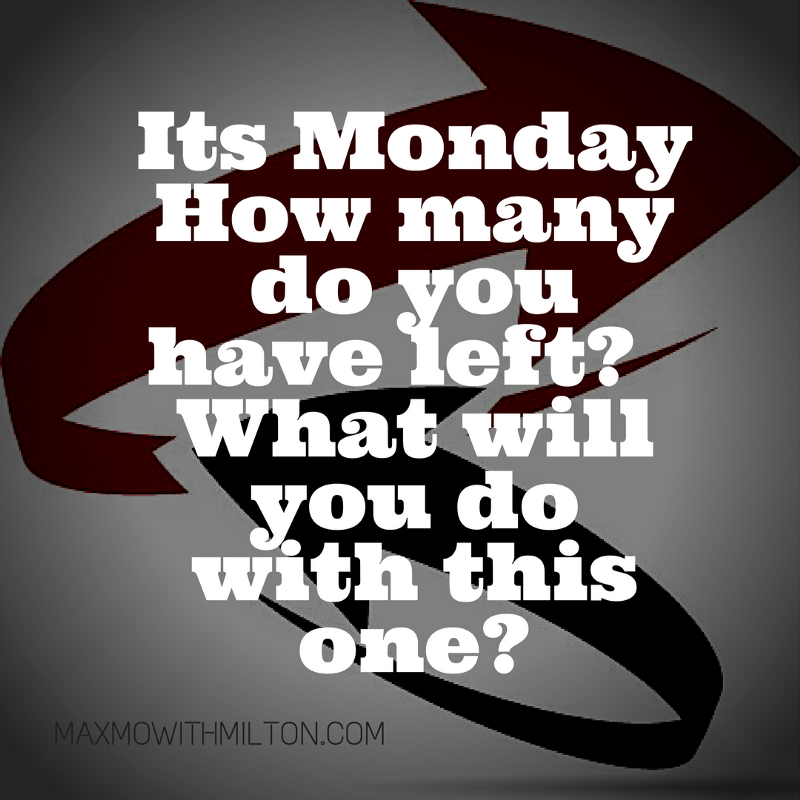 Let your Monday be a difference maker for your work or life week.